I never thought in a million years I would be so into numbers. Rewind a couple of years and I never paid attention to dollar amounts, budgeting or due dates. Everything was a constant surprise and I was barely holding it together. Luckily, I got with the program, paid off my credit cards and developed a budget. Fast forward to today and who would have thought I'd be writing things like 4th quarter goals, blog stats or talking CPM (just kidding I still don't fully understand this.) I get so excited to talk numbers because they help me stay optimistic after a rough day of work. Believe In A Budget has grown into something bigger than I thought it could be. With a little over a year under my belt and what feels like hundreds if not thousands of hours spent on this blog (and not making any money), I'm now having the best time ever. I never thought in a million years I could quit my job and actually work for myself. I wouldn't be here today if it wasn't for starting this blog, which is crazy! Here's a bunch of random numbers that changed my life this year. These are my numbers as of mid December and are not final for the year. 2014 The year the above mentioned post debuted. Yay for evergreen content! 147 Total amount of posts published in 2015. Wow, this is way more than I thought. 36 How many months I signed a renewal contract with Bluehost to renew my domain and hosting. I'm all in! 88% Overall leading traffic source was from Pinterest. Check out the services I offer here. $813 How much money I won. Beginner's luck! $43.18 The amount I spent to book my plane tickets to #FinCon16 next year. I had a voucher that was set to expire and I literally used it on the last day. 1st The class I'll be flying in when using said voucher. Yippee! Bring on the free champagne. There's free champagne, right? I spent nearly every free moment working on Believe In A Budget this year. I said no to a lot of Happy Hours, brunches and socializing to focus on this blog. I knew if I put the time in and hustled hard, this blog would have to pay off at some point. A small part of me was skeptical, but I knew I couldn't invest so much time into something for it not to work. The payoff has been plentiful and satisfying. Quitting my job and not having to work for someone else has been the greatest accomplishment. I am totally on board with this blog and I can't wait to see where it takes me the next 12 months. If I had to summarize 2015 in one word, it would be determination. I had a lot of things I wanted to accomplish personally and professionally, and I pretty much checked everything off my list. It was hard work and there were plenty of times I had to remind myself to keep going. My overall goals are fairly straightforward, but complex at the same time. I think the amount of goals I have is small in number, but each goal is a little intense. In the first quarter I am all set to debut my ebook on mystery shops and panel studies. This will be my first product and it has been a labor of love and learning. I'm really excited to share it and this book will be geared towards people who are looking to side hustle. I'm thrilled with how my Pinterest niche freelance business has taken me, but I want to be able to reach more people. Working with each client's account is time consuming and I can only take on so many clients at one time so I can provide the best service. 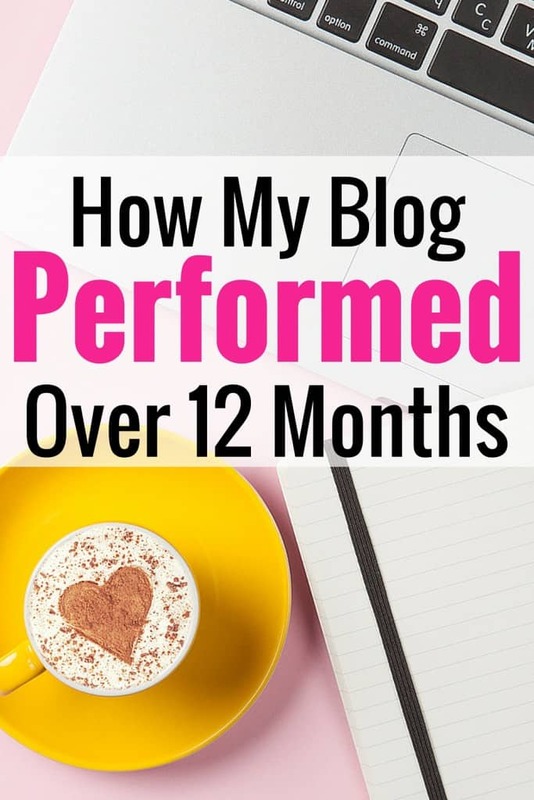 Because of this, in the second quarter I'll be switching gears and releasing a course on how to create Pin-worthy images for blogs and Pinterest, as well as how to navigate and master Pinterest. This course will be directed towards bloggers and freelancers. This got placed on the back burner this past year, which is too bad. I created a niche site back in 2007 and sadly shut it down a few years ago because of time restraints. I've hired a VA to help me get this site finished in the next few months. Sometimes you have to spend money to make money, and this will be a great investment. I'll probably be sharing the ups and downs of this niche site on the blog next year. I'm hoping it produces some income and I plan to document the journey of what all happens with it. Right now I am working a ton of hours each work and love what I'm doing. But I wouldn't mind slowing down and find ways to earn the same amount of money – or preferably more – and work less. I need to work smarter, not harder. Right now I would estimate 95% of my income is from freelancing and working for other people. I would love to get this number down to 50% by the end of the year, with half of my income coming from freelancing and half from passive income. What are your 2016 goals? Do you have a word of the year? Very informative – thanks for sharing. I really like that the post with the most views was from 2014. It highlights the separation between effort/work and reward, and the benefits of having them (mostly) independent. Evergreen content for the win! I like your goals!! Anything is possible and you seem determined. You will crush it! !